Reclaimed solid pine with loads of character provide this dresser with undeniable charm. 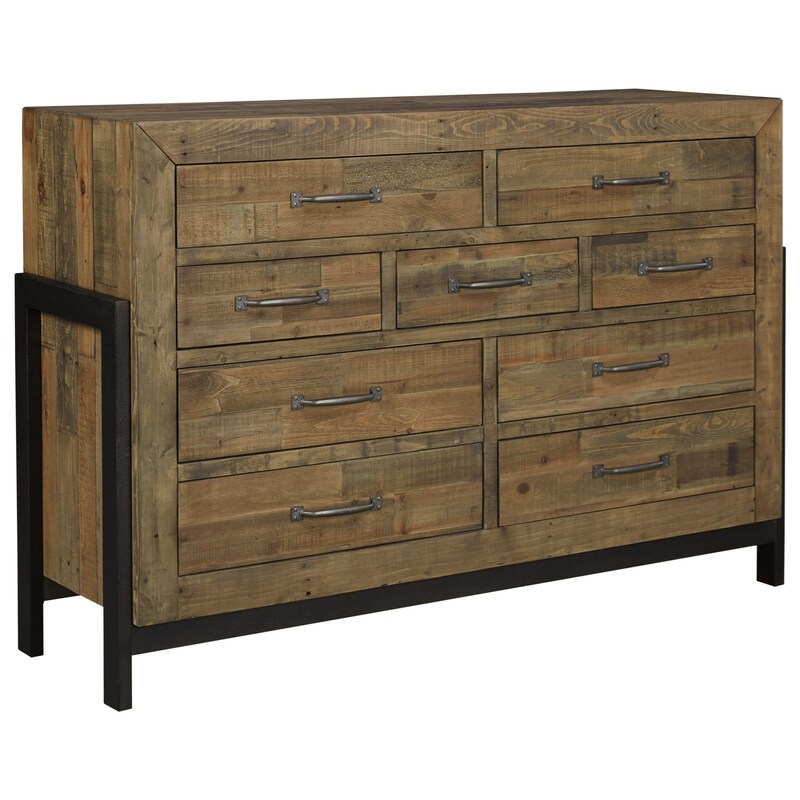 The offset pattern of the wood planks reinforces the rustic appeal, while the metal corner posts and legs add industrial appeal and strength to the dresser's construction. The Sommerford Reclaimed Pine Solid Wood Dresser with Metal Frame by Signature Design by Ashley from Nashco Furniture - Nashville. We proudly serve the Nashville, Franklin, Brentwood, Clarksville, Green Hills, Davidson County, Williamson County, Tennessee area. Product availability may vary. Contact us for the most current availability on this product. Case Construction Made with reclaimed Pine solids that have taken on the patina of time and will include nail holes, patches, dings and gouges. Modern rustic style with the strength of solid wood makes each of the pieces available from this bedroom collection a standout for your decor. Quality drawer construction makes the storage pieces easy to use when accessing clothing. 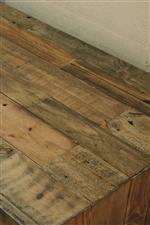 The Sommerford collection is a great option if you are looking for Rustic furniture in the Nashville, Franklin, Brentwood, Clarksville, Green Hills, Davidson County, Williamson County, Tennessee area. Browse other items in the Sommerford collection from Nashco Furniture - Nashville in the Nashville, Franklin, Brentwood, Clarksville, Green Hills, Davidson County, Williamson County, Tennessee area.